As I shared with you in the July TIPS, it’s oh-so valuable to consent and let healing advance on its own route with no “help” from us. Yes, of course, we need to love ourselves, and make wise choices, and too, healing is a NATURAL part of our humanity, which is such a gift! So, hello and welcome back after my short sabbatical in August and September. I made a large life change, and moved 1200 miles away! In my new environment, I am discovering so many new things. Some of the newness brings me awe and excitement. The pace is slower, the trees are plentiful, and the air is crisp. 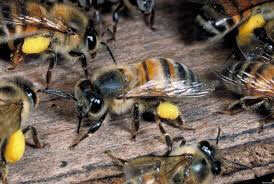 On the down side, the bees are mean!!! Yep, I’ve been one of those people who has been completely comfortable around bees. 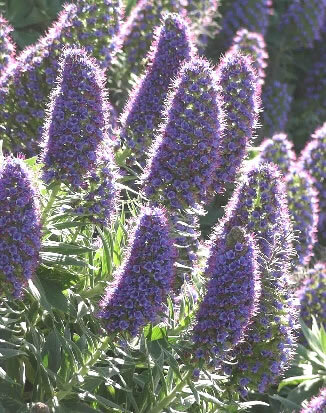 In one of my previous homes, I grew Pride of Madeira plants which is one of the bees’ favorites. When they needed trimming, I simply talked to the bees, and let them know they were safe, and to just allow me inside their area to trim the plants. They listened—or at the very least, they were docile enough to leave me alone, or possibly completely ignore me—and they allowed me to do my trimming unfettered. Now, in my new home, I was simply standing in my front yard placing 12 newly bought pumpkins in my yard and trying to arrange them to be aesthetically pleasing to passers-by, and one intractable bee, without provocation, rocketed towards me and stung me! I was aghast, and somewhat insulted by the whole thing. Then I gathered myself, paused, and took a deep breath. I noticed that although the bite itself stung a bit, I was not seriously hurt. I could breathe naturally, and in fact, I could simply carry on with my pumpkin arranging and re-establish my pleasant task of decorating the yard. As I continued to contemplate the event, I realized that this too was another “new experience” that I needed to integrate. When we make changes—both big and small in our lives—there is always a learning curve. What “we knew to expect” before the change is likely not to show up in the same way as before. Whether bee behavior, changing weather patterns, not pumping your own gas at gas stations — only in the smallest counties can you pump your own gas here—or the price of produce in the markets, everything is new. How our physical, mental, emotional, and spiritual beings respond to the new can be an interesting journey or a scary, frustrating event. It helped me remember that I don’t know as much as I think I do. Change means just that. It’s NOT going to be the same. Best we can do is notice, watch with curiosity, respond with an open heart, and bask in the discoveries.